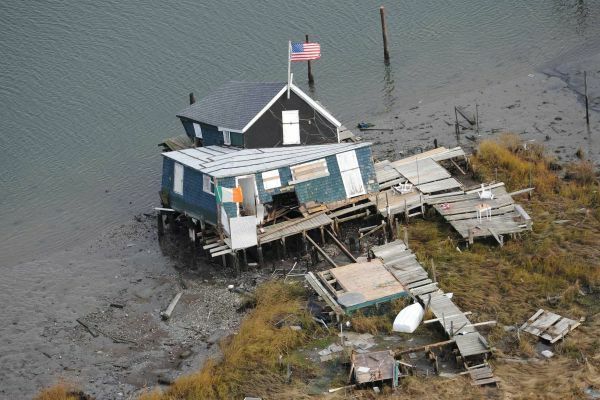 Federal Judges Bash Attempt to Bar Sandy Victim Testimony | Denis G. Kelly & Associates, P.C. A panel of federal judges thwarted an attempt Wednesday to block superstorm Sandy victims from testifying in criminal probes in exchange for payments to settle lawsuits over insurance claims, saying it would likely be illegal. At a hearing in Brooklyn, the three magistrate judges said they were “astounded” by the proposed provision, which would have forced homeowners who accept flood insurance settlements to keep silent about allegations of fraudulent damage reports. “I have a major concern with this language as a violation of New York State and federal law,” Judge Cheryl Pollak said. The hearing came a day after lawyers reached tentative deals with federal officials to settle roughly 50 lawsuits filed by superstorm Sandy victims in New York and New Jersey. The homeowners, who say the National Flood Insurance Program cheated them out of tens of thousands of dollars after the 2012 storm, need to sign off on the deals. The language prohibiting them from testifying was suggested late Tuesday by one of the insurance companies that administers policies for the government-run National Flood Insurance Program. The move nearly derailed the settlements, lawyers said. “I’m not going to participate in a process that is a cover-up,” said J. Steve Mostyn, a Texas lawyer negotiating on behalf of homeowners. The wording said homeowners could not “cause, encourage, assist, advise or cooperate” with any investigation. It was suggested by The Standard Fire Insurance Company, a subsidiary of Travelers. A lawyer for the Hartford-based company said the provision was composed in haste. Travelers, he said, is not insisting it be used. “This went out the door in a rush,” said the attorney, Stephen Goldman. The first round of settlements comes after more than a week of talks with the Federal Emergency Management Agency to resolve about 1,800 pending cases. Negotiations for the remaining suits continue. The deals primarily involve cases in which engineering firms hired by the insurers are accused by homeowners of forging property damage reports to deny claims. The allegations against those two firms — U.S. Forensic of Metairie, Louisiana, and GEB HiRise of Uniondale — have led to a criminal investigation by the New York State attorney general. Both firms have denied wrongdoing. The federal government underwrites flood insurance. But FEMA hires private companies to administer policies and process claims. Judge Ramon Reyes Jr. said he was stunned that the companies had the audacity to try to prohibit homeowners from cooperating with the probe.